Moto Z4 Play Coming with 48MP Camera and Screen Fingerprint - Playfuldroid! 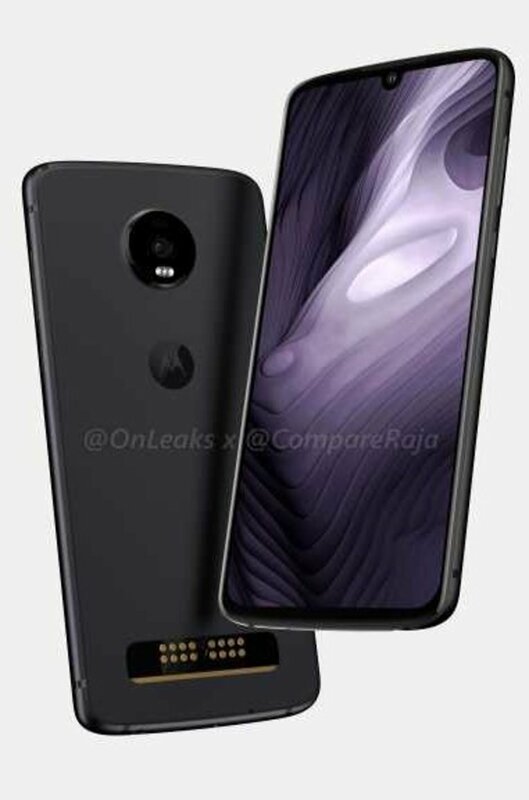 The CAD renders of the Motorola Moto Z4 Play was revealed by popular tipster @OnLeaks in the previous month. The smartphone will be arriving as a successor for the Moto Z3 Play smartphone. Citing an anonymous reliable as its source, 91mobiles has shared key details of the Moto Z4 Play. The Moto Z4 Play is fitted with a 6.22-inch AMOLED display that features a u-shaped notch. It will be debuting as the company’s first smartphone with in-display fingerprint scanner. The 11nm Snapdragon 675 chipset is present under the hood of the device. The smartphone is now rumored to arrive in variants such as 64 GB storage and 4 GB of RAM and 128 GB of storage and 6 GB of RAM. The Android 9 Pie OS comes preinstalled on the Moto Z4 Play. The handset receives power from 3,600mAh battery. It will carry support for fast charging. The backside of the phone will be featuring a 48-megapixel camera. However, there is no confirmation in this leak whether the phone features a single-lens or a dual camera setup. The rear panel of the phone will be equipped with 16-pin pogo connector for attaching Moto Mods accessories. No word on the price and release date of the smartphone. It is expected to release in the first half of this year.